With the recent events of K9 Eros being shot (Luckily doing well and recovering! ), and last Sunday, January 20th was the 3year Anniversary of K9 Jag. I decided I was going to do something to help make an impact for our K9's who work so hard to protect us. I reached out to Foothills K9 Association, a non-profit who assists in providing the funding for the medical care, protective equipment and schooling of our local K9's. 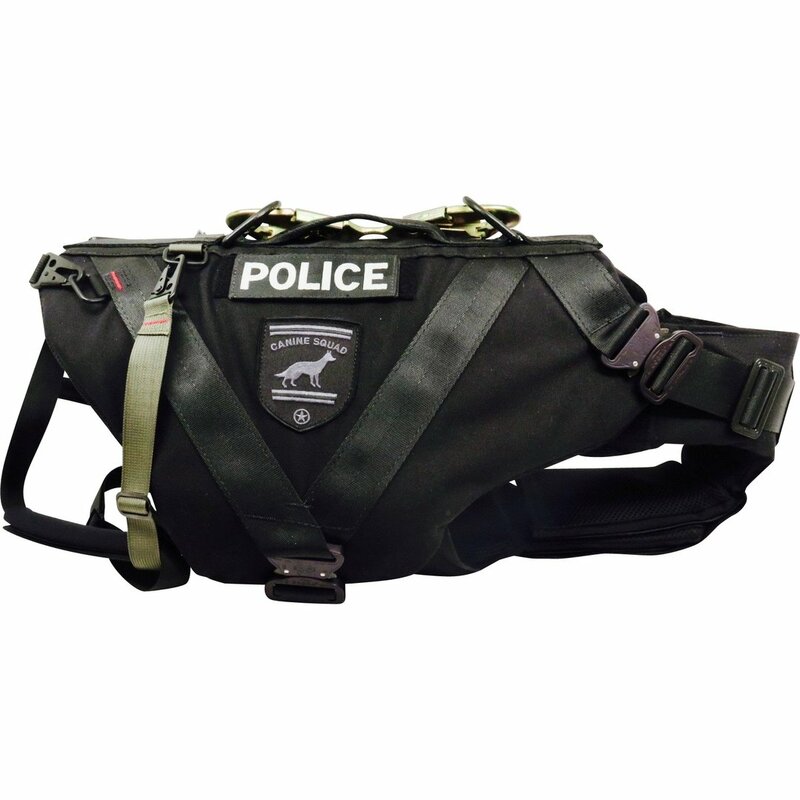 I learned that there are a couple of Roseville dogs in school right now that will need vests upon completion when they hit the streets with their partners. The vests cost between $1500-1700 each. Join Me on a walk to support our K9's and raise money so they will be protected straight out of school. Suggested Donation of $20 (or more) to Foothills K9 Association, Take a screenshot for proof and then sign up below. Click HERE to donate. You can comment in the memo section Pack Walk. This is just a suggested amount, please contribute what you are able. This is an offer to enter into a walk with Paws In Progress as a fundraiser for our local Police K9’s. You agree that, you are entering into a legally binding contract with the company. You agree to release all instructors, assistants, participants, spectators and all land owners from any damages that may arise, directly or indirectly, as a result of me or my dog participating in activities offered by Paws In Progress, fully recognizing that all dog related activities of this nature can be HAZARDOUS. I understand and I am aware that all dog related activities involve a risk of injury to any and all parts of the user’s body, or my dog’s body. Despite the risks of injury, I AGREE TO EXPRESSLY ASSUME ALL RISKS of injury or death to me or my dog while participating in the walk. By my signature below, I give my consent to participate in said activity, and I realize that by signing and submitting this form as a legal release, I am releasing from liability and agree not to sue Paws In Progress, Eleza Kerfoot, her associates, agents, clients and assistants for injuries or damages to me or my dog from any and all manner of actions, causes of such actions, claims and demands whatsoever, in law or in equity, which may arise now or in the future because of, or pertaining to, my participation, or my dog’s or dogs’ participation in any activities throughout any program provided by Paws In Progress. I hereby certify that I am the owner of the dog listed above, the dogs who will participating in the walk to support the K9’s. I understand that other dogs will attend this fundraiser walk organized by Paws In Progress and that during the course of participation my dog may come into direct contact with other participating dogs. I hereby certify that the above named dog(s) has been fully vaccinated for canine distemper, canine parvo virus, canine hepatitis and canine parainfluenza (DHPP) as well as rabies. The requirements to participate in any program are DHPP within the last year, and rabies in accordance with local laws. I am aware that my dog may be exposed to those infectious diseases described above. However, since Paws In Progress has advised me that my dog should be fully vaccinated against those diseases before attending any program, I alone assume responsibility for any such exposure. I also acknowledge that in addition to the diseases described above, my dog may be exposed to other infectious diseases. However, in order for my dog to participate in this group outing, I alone assume the responsibility of such exposure to all other infectious canine diseases. I am aware that given the sometimes unpredictable nature of dogs, an interaction could take place between animals on this group outing which may result in injury to my dog. I alone assume responsibility for any such injury to my own dog. As to Paws In Progress, I hereby waive and release any actions, causes of actions, damages, rights, claims or lawsuits which I may have for (a) any and all personal injury or property damage which may be sustained arising out of any interaction between dogs participating in any programs and (b) any and all injury, illness or disease sustained by my dog arising out of or stemming from its participation in any outings offered by Paws In Progress. I understand that Paws In Progress is a dog training business, but won’t be providing me any training or advice on this walk. I understand that this is solely a fundraiser for the community to help support our local Police K9’s. Disputes over anything related to this walk shall be resolved by the use of binding arbitration with an arbitration firm. I shall bear all fees and costs of the arbitration. I have read and agree to all the conditions above. I understand that when I fill in the boxes below, I will be bound as though I signed it by hand.